London, 1838. Sixteen-year-old Liza's dreams of her society debut are dashed when her parents are killed in an accident. Penniless, she accepts the position of lady's maid to young Princess Victoria and steps unwittingly into the gossipy intrigue of the servants' world below-stairs and the rampant trickery above. Is it possible that her changing circumstances may offer Liza the chance to determine her own fate, find true love, and secure the throne for her future queen? Meticulously based on newly discovered information, this engrossing novel is as rich in historical detail as Catherine, Called Birdy, and as sizzling with intrigue as The Luxe. 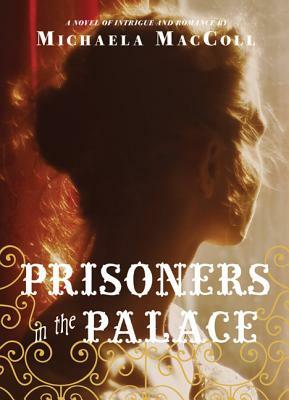 Michaela MacColl studied multi-disciplinary history at Vassar College and Yale University, which turns out to be the perfect degree for writing historical fiction. She lives with her husband, two daughters, and three extremely large cats in Connecticut.